We live in a time where boundaries, between people, between cultures, between sexes, are crashing down all around us. Boundaries are the walls that keep us from fulfilling our destiny or getting close to another human or limit freedom of speech and exchange of ideas and information. In the world of therapy, however, setting boundaries plays a different role. From protecting clients from being preyed upon to protecting the therapist from allegations of misconduct, strong boundaries can be crucial both ethically and legally. While it may be obvious that setting boundaries with and for patients benefits both client and therapist, what exactly those boundaries are and where the lines should be drawn is not as easy to identify. “There are boundary crossings and boundary violations,” said Christopher R. Martell, Ph.D., ABPP, professor and clinical director of the Psychological Services Center at University of Massachusetts. 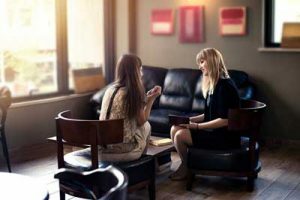 The first step for any therapist, says Craig Knapp, Ph.D, is to be fully aware of all the legal and ethical rules that apply to the practice of providing therapy. Knapp is a licensed psychologist from Rutland, Vt. And former ethics chair at the Vermont Psychological Association. “It’s not just to be knowledgeable but to adhere to them as well,” he said. Professional associations, like the American Psychological Association, and various state associations and others, provide tools for understanding ethics and following the often-changing laws that would apply to a practice. “It can be easy to miss new ethical standards or laws that impact a clinical practice,” Knapp said. With setting boundaries, there are the obvious violations – no sexual relationships with a current or recent patient, for instance – and strict guidelines to follow. But in many instances, there are gray areas and differences of opinion. How should one handle chance meetings with a client, in the grocery store or at an event? Dual relationships should be avoided but does that mean one cannot treat a high school friend’s daughter’s boyfriend? It depends, say our experts. Leaving a party or avoiding a patient in the grocery store can have its own consequences, Martell said. Because the right to admit that he is seeing a therapist belongs with the client, just leaving a party quickly can give others a clue that is not yours to give. And running the other way in a public place can have the adverse effect of insulting the client. Laying out the rules can be the best way to approach the entire situation – and it can encompass those other questions that come up inside the therapy room – to hug or not to hug, what a therapist or patient wants to be called or what guidelines the therapist will follow. It can also help where a therapist needs to lay out ground rules such as payment plans or keeping appointments or cancellation policies. “Vermont passed a law staying that a clinician must, within the first three sessions, provide in writing information about our training and experience, what constitutes unethical behavior and how people can file claims against us,” said Knapp. While others opposed the ruling, Knapp said that he finds the practice invaluable. Of course, there are also the boundaries that clients cross, whether with their behavior or in giving gifts or on social media. In the end, while trying to sort out what is appropriate, when it may not be appropriate, and where, the one overarching message should be clear, Martell added.